I am interested in 115 7080 188 Street, Surrey, BC. 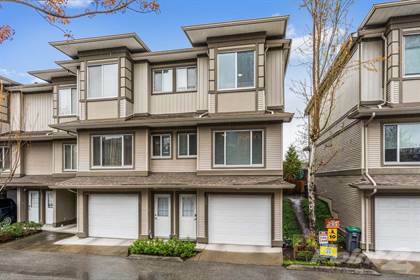 115 7080 188 Street is a 1500 square foot Townhouse for sale in Surrey, BC V3S8E5. It has 3 beds, 3 baths and was listed on Ovlix.com since April 15, 2019 by Homelife Benchmark Titus Realty for $628,000. Listing agent: Paul Bal. The average price for similar 115 7080 188 Street real estate listings - $794,406 which is 31% lower than $1,155,692 for Surrey, and 19% lower than $985,293 for British Columbia. Comparable nearby homes are: 14 7155 189 Street, 110 16488 64 Avenue, 108 16255 85 Avenue, 14 18839 69 Avenue, 6 19239 70 Avenue. What's near 115 7080 188 Street, Surrey V3S: Barnston Island Ferry, Canadian Museum of Flight, Boston Pizza, Boston Pizza, Cambridge Elementary, Langley Memorial Hospital, Gold's Gym Langley, Walnut Grove Secondary School, Mongolie Grill.